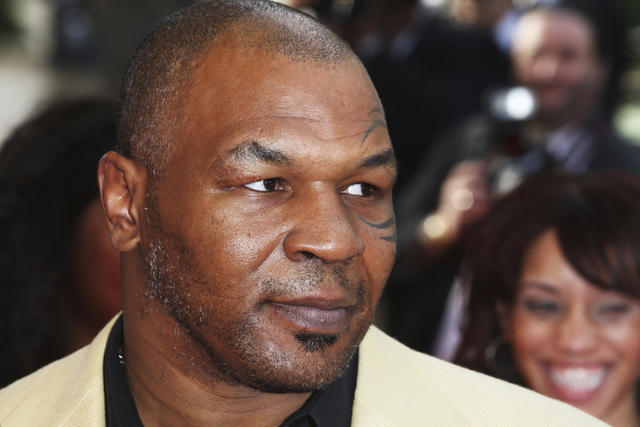 News recently broke that acclaimed director Martin Scorsese will direct a biopic about heavyweight legend Mike Tyson with Academy Award-winner Jamie Foxx playing the controversial pugilist. Tyson recently reached out to his fans for help in picking his greatest fights to add to the movie. THE RING — News recently broke that acclaimed director Martin Scorsese will direct a biopic about heavyweight legend Mike Tyson with Academy Award-winner Jamie Foxx playing the controversial pugilist. Tyson seems excited about the new film and even reached out to his fans for help in picking his greatest fights to add to the movie. Tyson released this video on his YouTube channel of every single one of his 44 knockouts and he wants you to pick the best that should appear in the film. The video is 57-minutes long, but it’s like a cylinder of Pringles, once you pop one you can’t stop. The analogy may be weak, but it’s next to impossible to stop watching the video and the mind-boggling power that Tyson once had. When he first started, Tyson was fighting every two weeks and was scoring KO after KO, often taking out more experienced fighters in the first round. If you were ever afraid to punch in the numbers 007 373 5963 into your Nintendo because it was unfair how good Tyson was in Mike Tyson’s Punch-Out!! then you weren’t alone. After you watch this video, however, you’ll know that if anything the game makers made that Tyson fight too easy. There is still no official title or release date for the new Tyson biopic, but with the team on board and the source material we should be in for quite an entertaining fight.